Pie Menu Editor is an add-on for Blender 2.79+/2.80+ that allows to create pie menus, regular menus and popup dialogs without coding. Best Blender addon ever made, this guy should win an oscar! My only question is if I can add more then one item per direction in the pie menus. E.g. 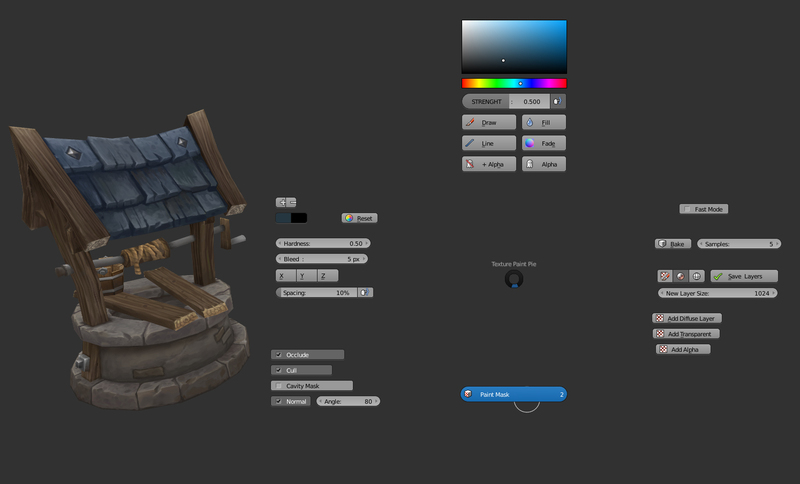 in the first screenshot both Vertex Paint and Weight Paint are to the bottom-left. This is the kind of menus I want and I was thinking of learning enough Pythin/Pie menus to do it myself but if your addon can save me a bunch of time I’m going to buy it. ToshiCG, yes you can create pie menus with more than 8 buttons. Great. I think I’ll buy the script over the weekend and customize the hell out of blender Can’t wait. Been there done that , You can basicly do whatever you want it really is great, this is my pie that i use for RMB. Here is another one that i use when i paint textures on my models. It needs to be cleaned up a bit, it’s a bit messy right now. That beast @roaoao just keeps adding new badass options all the time so it’s his fault! 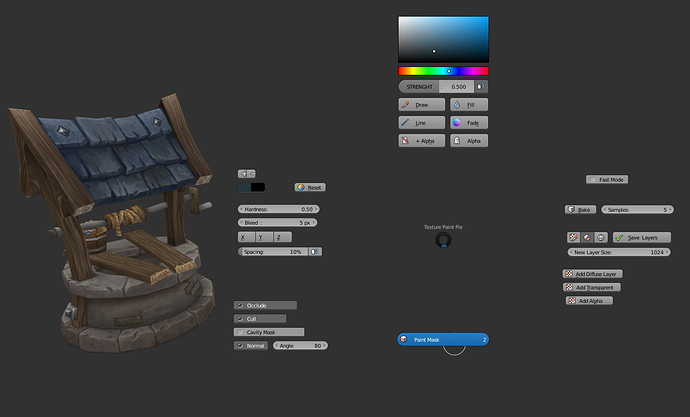 I can’t tell you how much i love this addon, It’s like you can work in Blender just like you want yourself. I have been able to basicly remove all crap that i dont’ need because of this addon and only work with pies that i have on my mouse. It really is fantastic. 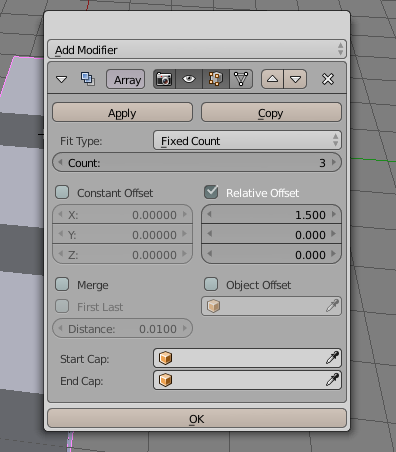 I can’t tell you how much i love this addon, It’s like you can work in Blender just like you want yourself. I have been able to basicly remove all crap that i dont’ need because of this addon and only work with pies that i have on my mouse. I completely agree with you, the best way to work is having the tools you use all the time at your fingertips and also get rid of the ones you don’t use so they don’t obstruct the process. I’m getting more excited about this addon. 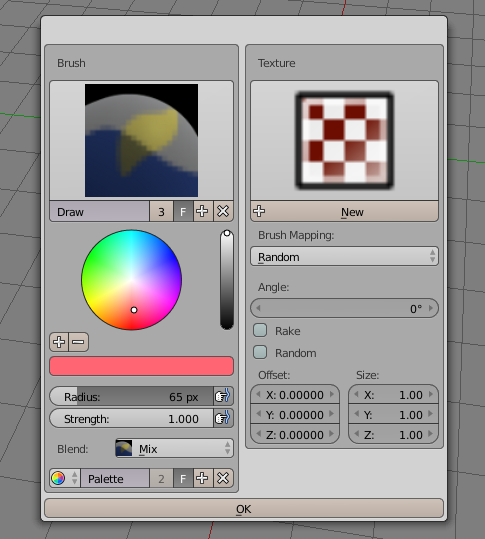 That looks like a really well put pie for texture painting. There’s some stuff I don’t even know how you did (hardness?!). It must have taken you a really long time setting it up, but could you share it? If you don’t want to I understand, but could you point some directions on how you went on creating it (specially the hardness one)? I am using Zero brush plugin, maybe it’s a part of that? 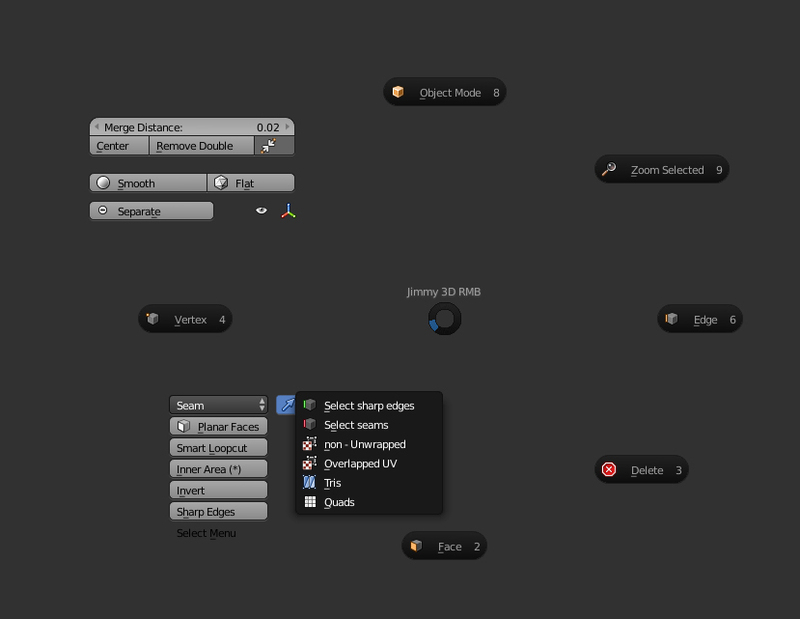 I tend to work like this, I get a bunch of addons/scripts that i want specific functions from,activate them,then only use the parts i like in my custom made pie. Remember you can do anything with it! The cool thing is that roaoao is constantly adding new updates to this addon so it will get even better in the future, but even now i can pretty much do anything that i want. i menu like this does not take long to set up if you know what you are after. just learn the pie menu editor it you will be up and running in minutes! So I got the addon and I must say it doesn’t seem to be getting the love it deserves. Making menus is really intuitive. My only small complaint is the lack of documentation. The videos are nice but without voice-over can be a bit hard to follow. Simply adding annotations would make a bit difference. A written PDF with some example would be really nice. As I said the addon is very intuitive so this isn’t a big problem. I’m planning to work on the documentation after I release the next version of the add-on. I would really appreciate it, jimpaw80. Next version? What features do you have in mind? Love the addon, I’ve used it to replace most of my pie menus with custom ones. Was wondering if it would ever be possible to increase the size of the icons (or use larger icons)? Ideally I’d like to make custom icons for everything and forego text entirely for most things, but that’s difficult to do with 16x16 icons.